I mentioned it on another thread. 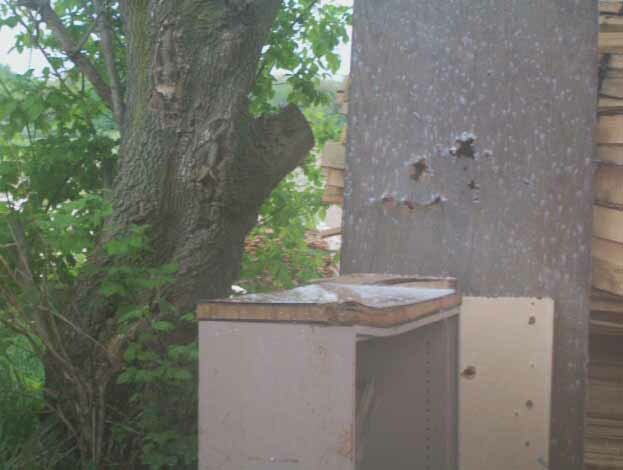 I have it chambered in a Savage 210 bolt action, and two others over on AR forums use Borchardt falling block. that looks like a killer, ed! 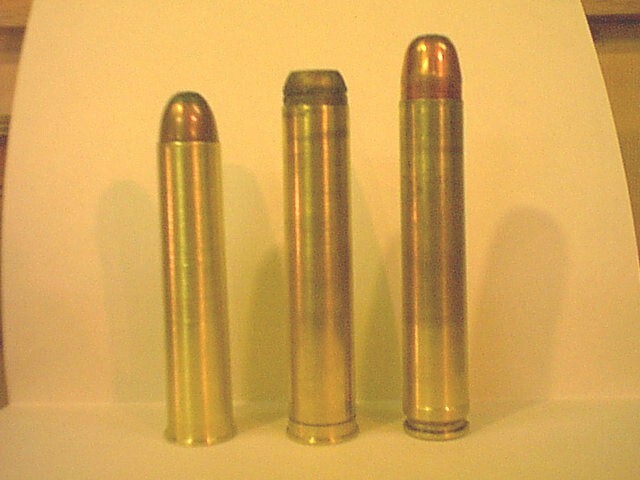 What is the muzzle velocity/bullet weights? 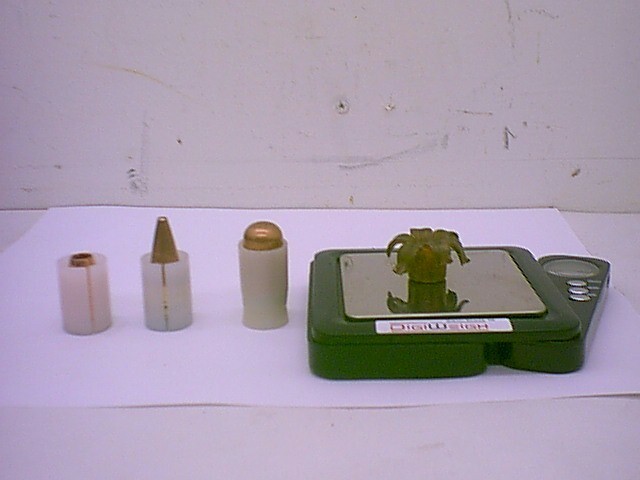 Are you using shotgun or rifle chamber pressures? with the heavy thickwall barrel and our cases. Rob' with his Borchardt can run full rifle pressures. bullet out at 3900 with 280 gr of H-335 ball.Ed. bullet out at 3900 with 280 gr of H-335 ball. Heilige scheise Batman! At 30 - 35kPSI?!?!?! 11 thousand ft-lbs at the muzzle - kills at both ends. I need one. with 700NE on the left,and my 700 HE on the right. saboted slug expanded, it's 435gr.Ed. There are times when a normal man must, spit in his hands, hoist the black flag, and begin slitting throats. The gun he used is a Savage 210. That means King will have to drop the cash for the borchardt action . Man, that thing looks fun as hell when you touch it off. Not sure I would want to shoot it off of a bench though. with heavy barrel and heavy weighted stock. slug into 6 gallon sealed pail of water. Going 2800 fps, and real big hollowpoint. First pic is pail with crimped on top. Pail full and has filler spout capped. down, has bent top of steel frame shelf. 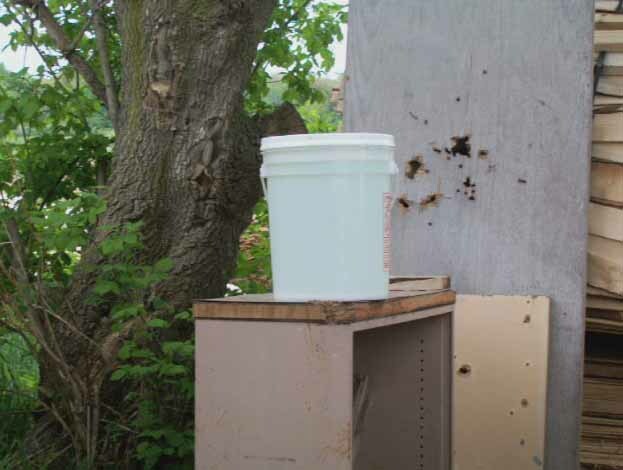 Same blast put jug pieces all over. Uhmm... "think ya used enough dynamite there, Butch????" Hubel, Do you take requests? Concrete Blocks! I want to see some standard 10" 3 cell concrete blocks placed endwise and photographed at slow mo. or watermelons turned to red mist. I wonder if you could use it to split campfire wood? We will do a cement block in few days. I picked up a 12ga NEF Ultra Slug gun.24 in shorty barrel. Added weight and thumbhole stock. 1650-1700 so far, and shoots easy. can't get used to mickey mouse short barrel. make long alloy barrel with pivot mounted? powder load. Case length of maximum 3.07 works. Can use our case shorter, but load developement harder. do the following with adapter bushings. primer. 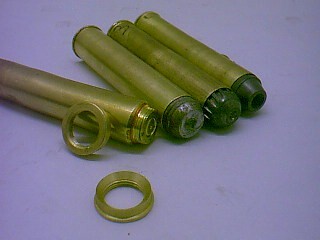 2nd is adapted to a shotgun primer. 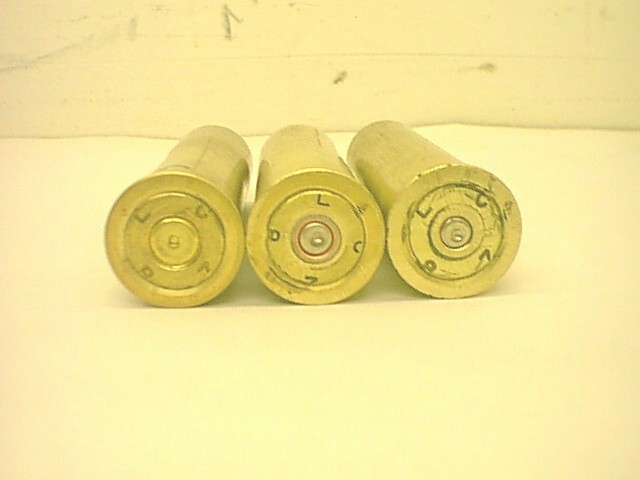 3rd is adapted to large rifle primer. 100 fps less than bmg primer.Ed. 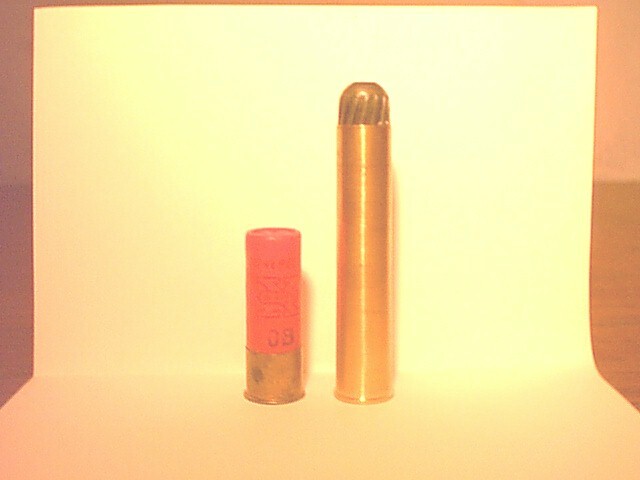 hardened cast slug to 2400 plus with 300 gr RL-25. Full load. Bottom of cases don't need sizing.